The Chelsea Flower Show is the Royal Horticultural Society's flagship annual event. 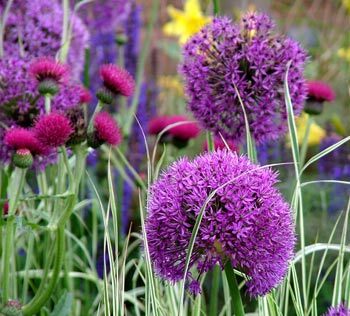 Visitors come from far and wide to see the creme de la creme of garden design and horticulture on show, and to get ideas to take home to their own gardens. The 2005 Chelsea Flower Show will be the second visit for the Moosey London team. This year we will be enjoying the flower show with full day tickets, able to explore the gardens at a leisurely pace. The flower show transforms Chelsea Royal Hospital's Ranelagh Gardens into avenues of exhibits, bustling with crowds. The flower marquees have endless displays of the highest quality flowers and plants, tempting the visitors into spending sprees. I hope I can resist this year...! Another gardening year, and I'm still a million miles away from the Chelsea Flower Show - well, perhaps twelve thousand miles... As the Moosey gardening days get shorter it's strange (and rather lovely) to think of people getting ready for a summer flower show. OK, so the Chelsea Flower Show, the 2012 version, is on in London. It's seven years since I last 'didn't go' to Chelsea. How time flies, down here in the antipodean world, enjoying May's late autumn gardening. I've missed it again!